Crafts of Malaysia represent the culture and traditions that have been well preserved from generation to generation. 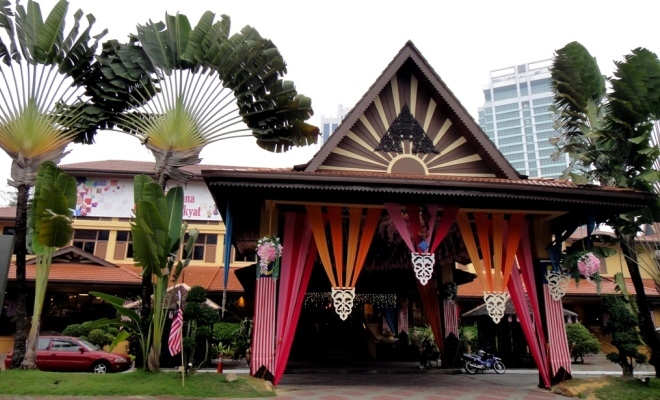 If you visit the Craft Complex in the Kuala Lumpur city, you will find that Malaysia has quite a fine heritage of craft. Of course, first impression of the craft complex may make you feel like this is a boring and sleepy tourist destination; why bother wasting time when you could be heading to more exciting and attractive destinations, right? Well, the craft complex is a great place to really understand Malaysia from the cultural and heritage point of view. If you wish to understand the people and cultures that have seen them through the many years, then this is the right place. There will really be no dull moment as most people expect it to be here because when you immerse yourself into the culture and heritage of the nation, you will find things to be very interesting down here. An interesting attraction here at the Crafts Complex is the traditional village where you actually have the opportunity of watching an artist at work-live! The artists come out and work here, out in the open and they come from different areas of expertise and you are always welcomed to watch them at work. You may not be able to do this anywhere else. The batik collection can be viewed here and besides buying a few unique batik pieces. You can also try your hand at making your very own batik print at the factory. It certainly is a unique experience to be able to make your own print and then take it home with you. Showcased here are also a few batik prints that you can view. You can also try making prints on ceramics. The complex is certainly a hands-on tourist destination where you can join in on the fun and fully immerse yourself in the culture and traditional way of making beautiful artistic crafts. Head over to the Craft Museum where you can view many ceramics, textile, and rattan craft, some of them dating as far back as during the colonial days. Forestry products that were collected and preserved for a long period of time are also on display. It certainly is an interesting collection, especially the embroidery of the olden days. If you are looking for handcrafted items to include in your interior design back home, here is the right place to do your shopping. You will be amazed at the intricate and unique items that you will find here, and most of them are unique to this place only. What’s more, an added bonus is that the items sold here are priced much lower than elsewhere in the nation. There are also many baskets on sale and if you are lucky enough, you can view the making of some of these beautifully designed baskets. Once you step out, you will find a beautifully landscaped garden for your enjoyment. The craft center is also a convenient place with many facilities to allow you to relax or recharge before continuing your journey. To get here, you can take a taxi and instruct the taxi driver to take you to the Craft Complex. Or, you can take train services that stop near the Golden Triangle area of the city and walk towards the Craft Complex. The walk is almost half an hour so do wear the right walking shoes!